Location: South side of an un -named minor road. Notes: Before the Manx Northern Railway (MNR) built their line from St Johns to Peel they purchased land from the Isle of Man Ecclesiastical Authorities at the rear of what had been since the 13th Century the home of the Bishops of Sodor and Man which was known as Bishopscourt. 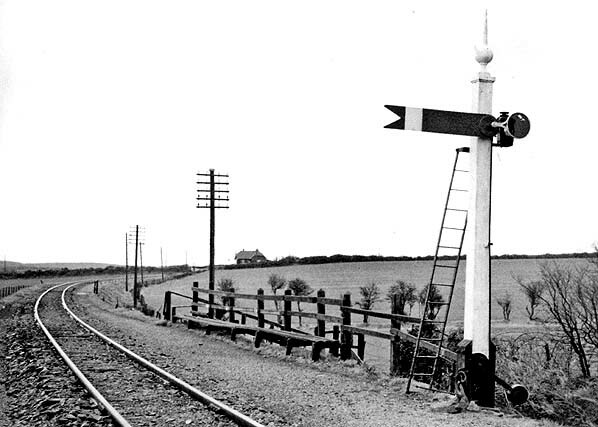 The railway company agreed that they would provide a halt on the line which could be used by the Bishop, his servants, visitors and other members of the household. The halt opened as Bishops Court Halt with the line in 1879. Interestingly the railway company used a different spelling than the church authorities did. Bishops Court Halt consisted of nothing more than a bench located on the east side of the single track line. The line was on an embankment at this point and so steps led down to the grounds of Bishopscourt itself. Trains serving the halt ran between St Johns and Ramsey. On the 24th May 1905 Bishops Court Halt became part of the Isle of Man Railway (IOMR) when that company took over the MNR. Little changed but train services tended to continue on from St Johns to Douglas after the amalgamation. Although primarily a private halt it was open to the public between 23.9.1930 - 3.3.1935 and at this time was advertised as Bishopscourt Halt. The IOMR saw the Bishops Court Halt as an inconvenience and they tried to restrict its use. Eventually they were succesful and it fell into dissuse after 1950. 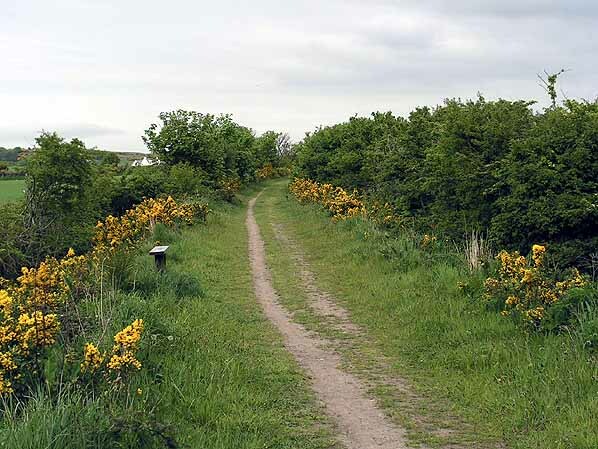 Looking north at the site of Bishops Court Halt in May 2010. 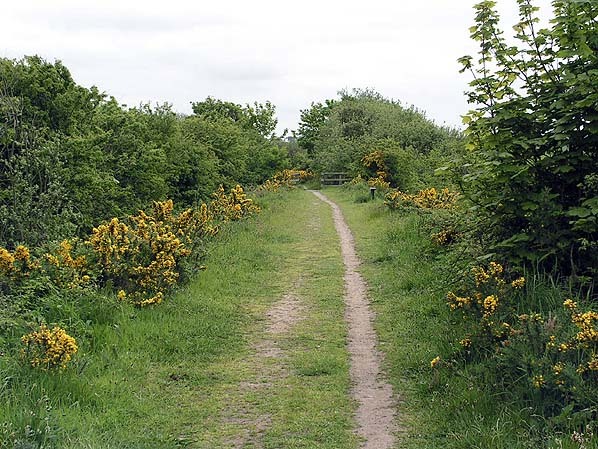 A bench, seen on the left of the picture, has been installed by the Isle of Man Government on what is now a long distance footpath to mark the site of the halt. Bishops Court Halt only ever consisted of a bench but the original one was to the right of the picture on the east side of the line. Looking south at the site of Bishops Court Halt in May 2010. Bishopscourt, the former seat of the Bishops of Sodor and Man lies beyond the hedge on the left of the picture. The house has not been occupied by Bishops since 1974. The Isle of Man government installed bench which marks the spot of the Bishops Court Halt. 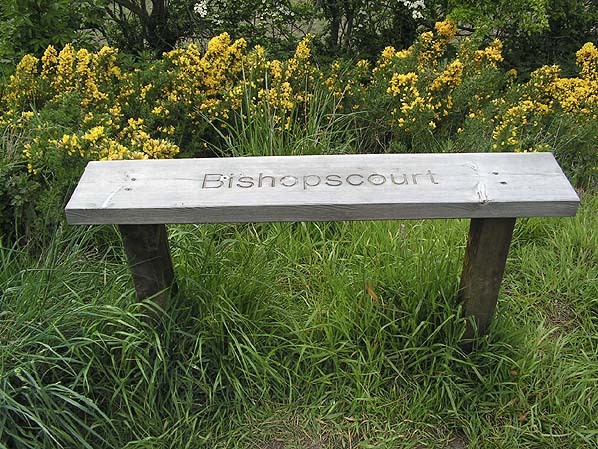 The bench uses the correct spelling for Bishopscourt not that adopted by the Manx Northern Railway.